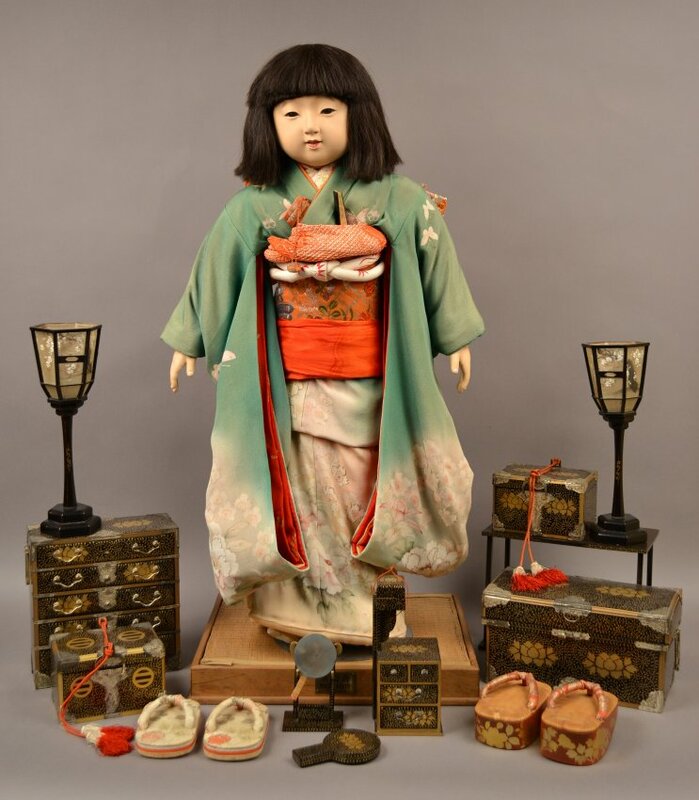 This pair of formal zori sandals are Miss Kyoto doll accessories. The zori are covered with a cream-colored silk with a pattern of pale green and olive leaves and orange and green flowers. They have padded silk thongs covered in the same fabric. There are orange and white stripes along the sole. 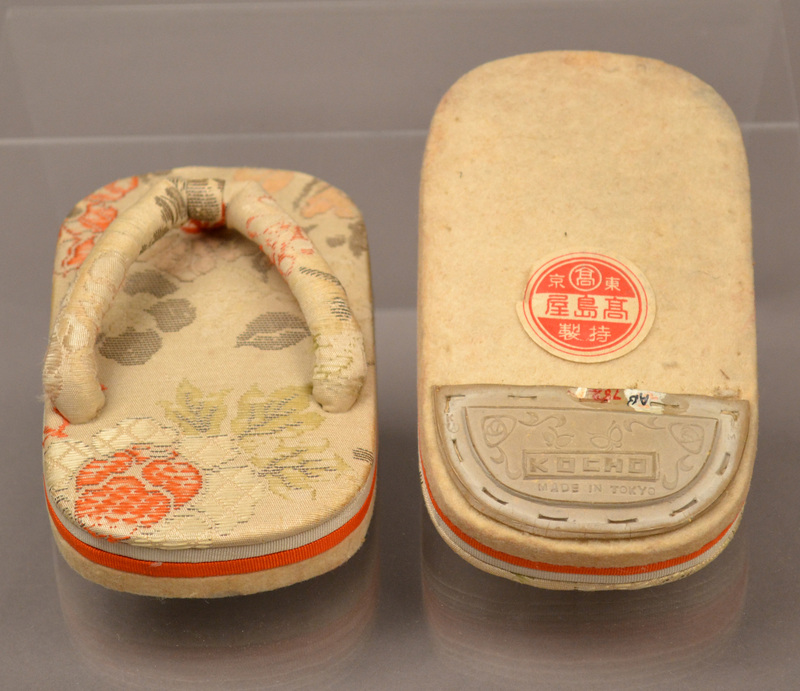 The rubber heal on the sole is embossed with the words, in English: "Kocho Made in Tokyo." There is also a paper tag/sticker in Japanese attached to the shoes near the rubber soles with the manufacturer's information. Zori sandals are traditional Japanese footwear that are flat and have a thong strap. They are typically made of straw, cloth, lacquered wood, leather, or synthetic materials. 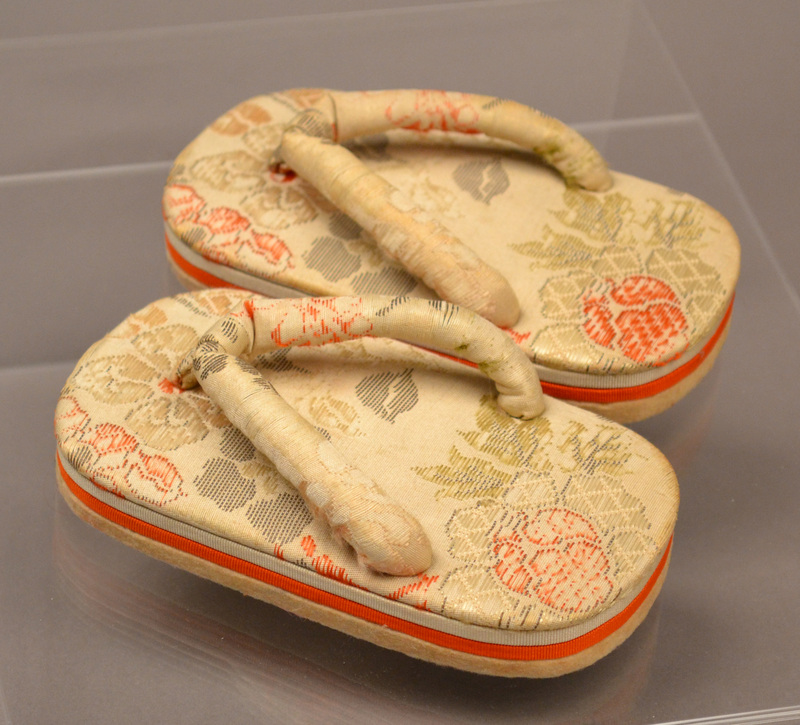 They are similar to flip-flops (which first appeared as rubber imitations of zori) and are worn with traditional clothing, particularly with formal kimono, though modern zori are also worn with casual clothing in the summertime.